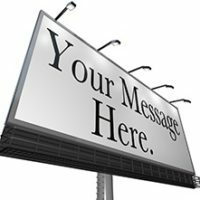 There are a few big-picture questions that should be answered before investing in billboards to market your law practice. They involve your firm’s overall dollar allocation between branding and direct lead generation campaigns, whether you’re in a rural or metro area, and the types of cases you handle. Don’t buy just one board. Billboards fall on the branding side of the marketing strategy spectrum, which means they need repetition to build familiarity and produce returns. The only exception would be a very strategic location. For example, if you do DUI defense, having a billboard outside the city’s impound lot would be a great opportunity. Don’t trust the photos sent by the vendor. They are often outdated, taken at misleading angles, and photoshopped. Always visit a potential location in person. Look for trees, power lines, board condition, and anything else that could affect the success of your campaign. Consider changes in traffic volume due to construction or seasonal venues. A billboard on a road to a lake’s boat ramp may be a great investment in the summer and a loser in the winter. Take stock of things other than your billboard which may draw the vehicle occupants’ eyes. For example, if your billboard is on the left side of a very dangerous curve, it’s safe to assume most drivers will be paying attention to the road and not your marketing. Make the billboard vendor handle everything necessary to get the marketing up and running, including vinyl production and installation. When something goes wrong (i.e. damage to a vinyl due to improper installation), vendors like to blame others involved in the process. By keeping everything together, you eliminate their ability to push the blame for a mishap. Don’t stay on one board too long. Unless it’s a fantastic location, look to capture eyes in different parts of your geographic target. I typically recommend 4-6 month contracts. Billboards can be an effective way to market a law practice. But like any investment, you need to know exactly what you’re getting and what your expectation is at the outset.